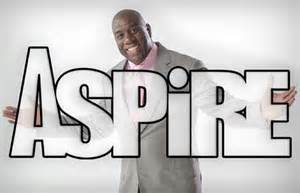 Guest Blogger Melki: ASPIRE TV Is Representing Well! You have to like ASPIRE TV and what they are doing with the ABFF independent films. They will have a new host–David Banner–in August to replace host Omari Hardwick who’s blown up in 50 Cent’s “Power” on the STARZ Network (and a prototype for “Empire”). One film in particular, “The Collegians,” has great cinematography and is filmed mostly in earth colors–brown, green some red. This is the first time I’ve seen -maybe first time I really notice- producers using colors that benefit us –like Essence magazine. It contrasts with what white folks have worked for themselves in those dull colored light blue/dark blue contrast films. It’s a glimpse into the “Black World” that exists in another dimension and here at times—like the old hilarious skit from “In Living Color.” Once one of my books becomes a film, I’d like to work with the cinematographer for that film or at least utilize that style of color contrasts. This entry was posted in american history, film, television and tagged 50 Cent, ASPIRE, David Banner, Empire, In Living Color, Magic Johnson, Power, STARZ Network, The Collegians. Bookmark the permalink.